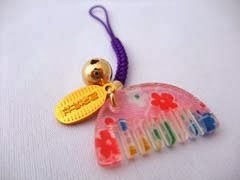 There are some shrines and temples especially to pray for beautiful hair.
. kushi 櫛 comb and kanzashi かんざし / 簪 hairpin .
. bijin 美人 beauty - beauty amulet 美守 . 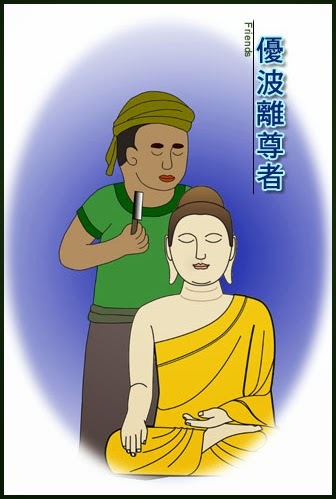 One of the disciples of Shakyamuni Buddha was a hairdresser. Upali (Sanskrit उपालि upāli) was a monk, one of the ten chief disciples of the Buddha. Before joining the order, he worked as a barber. He asked the Buddha if a person of "low birth" such as he could join the order. The Buddha ordained him before the princes and asked the princes to pay homage to Upali, who by then had become an Arhant. He became the chief disciple in knowing the rules of the order and the foremost disciple in keeping precepts. 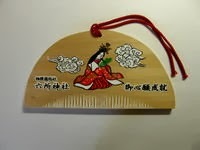 The wordｓ KAMI 神　for deity and KAMI 髪　for hair have a close relationship. Here the main festival takes place in November. People with babies also come to pray for healthy hair growth and offer a cut of first hair. Young people with thin hair or older people with white hair also come to pray. 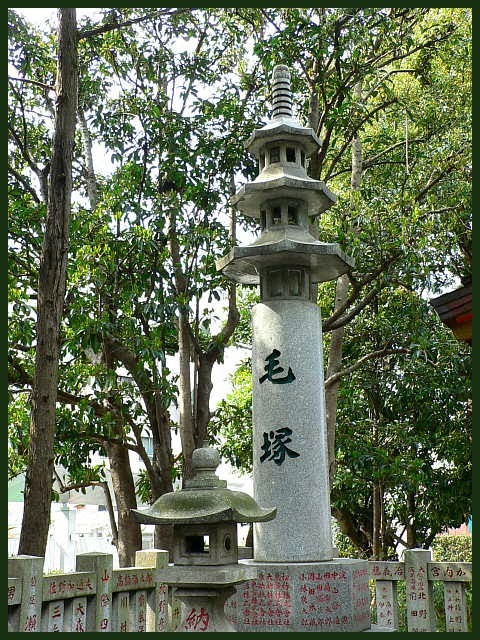 This shrine is rather new, it has been built in 1961 by members of the hairstyle and beauty salons, wig makers and hair studios to pray for good business 理美容業界. 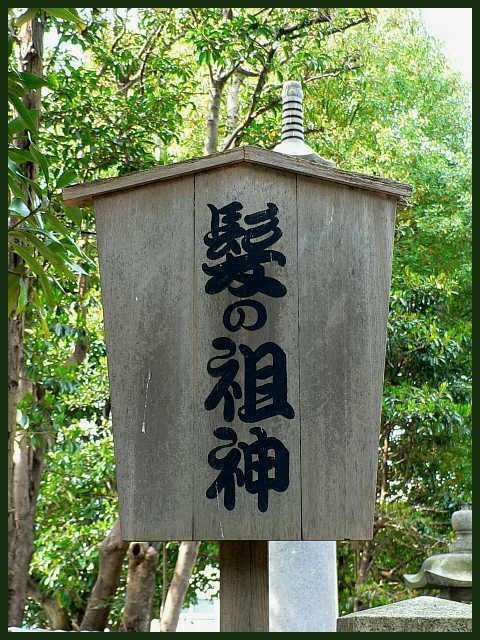 It is a very small shrine and only sells amulets for hair problems. 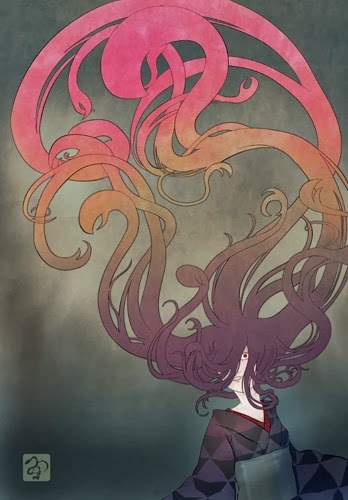 Revered as Mikami Daimyoojin　御髪大明神 Great Deity of Hair. 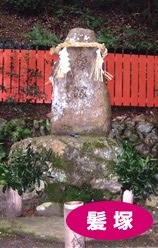 This shrine enshrines Fujiwara Unemenosuke Masayuki. 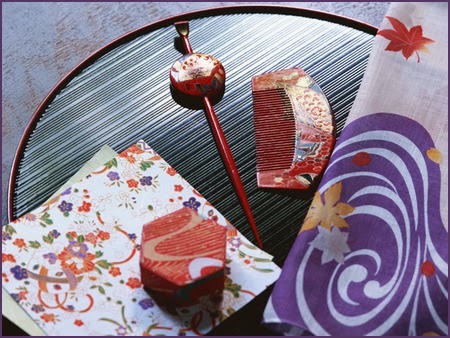 In the 13th century, his father, Fujiwara Motoharu served the emperor Kameyama. At that time, he lost treasures in his territory. He began a quest and travelled to the western part of Japan. He finally settled down in Shimonoseki in Yamaguchi prefecture, and his son, Masayuki became a hairdresser as a regular vocation. 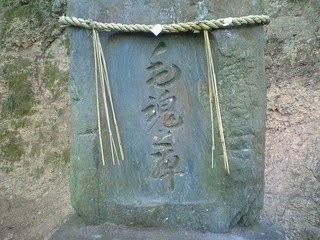 That was the origin of the god of this shrine. There is a tumulus of hair here, since hair is regarded as the very important thing for human being because it is on the very top of human which is offered by the world spirit. It protects our important brain, and we have to appreciate the great gift from the god. During a shrine visit, you have to ask the priest to cut a bit of your own hair. It is put in a special little sack and you can offer it to the deity, then your own hair will grow back beautifully and bountifully. 薄毛が治りますように - may my thin hair be healed soon! and it is often frequented by men. was a Japanese poet and musician of the early Heian period.
. . . In the Noh Theater there is a play called "Sekimaru" that depicts the life of a woman named Sakagami (逆髪), who came to Ausaka no Seki and initially quarrelled with Semimaru, but eventually they fell in love and later had a painful separation. 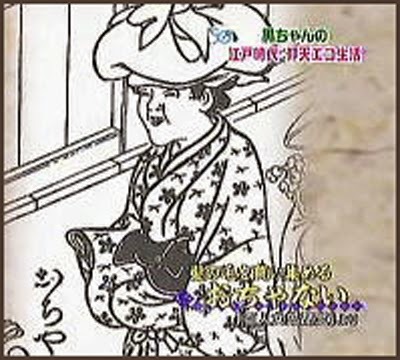 Princess Sakagami was suffering from "hair standing up" (sakagami) and Semimaru tried to help her. He ordered Beautiful Furuya 古屋美女 to make a wig (かもじ, かつら) to help her. He himself thus became the first deity for hair problems. Many owners of hair salons come here to pray for good business. 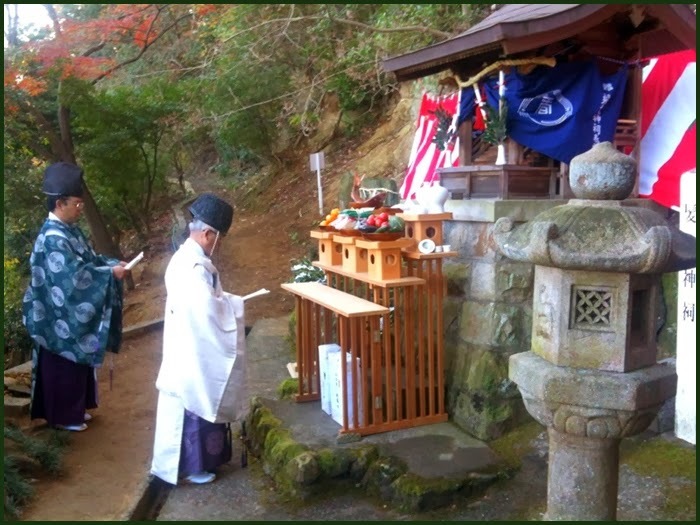 Lately also women come to pray for help with their hair problems.
. Seki Semimaru jinja 関 蝉丸神社 shrine for Semimaru . 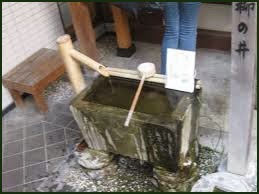 If the ladies washed their hair with this sacred water, their hair would become soft and shining - at least in the legends of the Edo period. The deity of this temple is Daishoo Kangiten 大聖歓喜天. It belongs to the Tendai sect of Buddhism.
. Kankiten (Kangiten　歓喜天 Ganesh . This song was later valorized as a sacred verse representing the roots of Japanese waka poetry. Susanoo and Kushinadahime produced the child Yashimashinumi, said to be ancestor of Ōkuninushi. The Izumo fudoki includes a report associating Kushinada with the origin of the local place name for Kumadani ("secluded valley"), stating that "Kushiinada Mitoyomanurahime" chose the place when seeking a quiet site to give birth.
. Izumo Fudoki 出雲　風土記 Legends from Izumo . 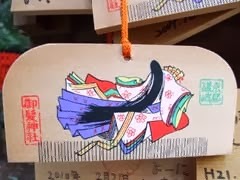 ochikai 落ち買い "buying fallen things"
There was also a profession of ladies in Edo to walk around and collect the hair that had fallen out and been combed off a woman's head. otchanai ochanai おちゃないおちゃない Are there hair fallen? ochite inai ka 落ちていないか "Has (any hair) fallen to the ground?" They carried the hair in a furoshiki bundle on their head. They usually started their business in the late afternoon (giving women time after the lunch preparations to collect their hair).
. Katsura　鬘 wigs and hairstyles in Edo .